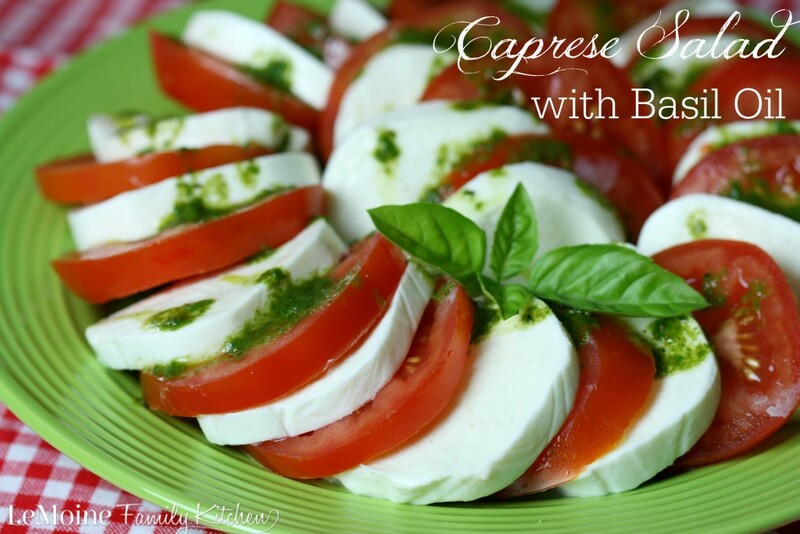 Caprese Salad with Basil Oil just screams Summer to me. Its simple and especially wonderful when you can get local grown produce. Like I’ve mentioned before, I love my garden and while I don’t yet have tomatoes ready to pick, I do have lots of basil! Fresh picked basil is a beautiful thing, and yes I give those pretty leaves a sniff every time I pick some. 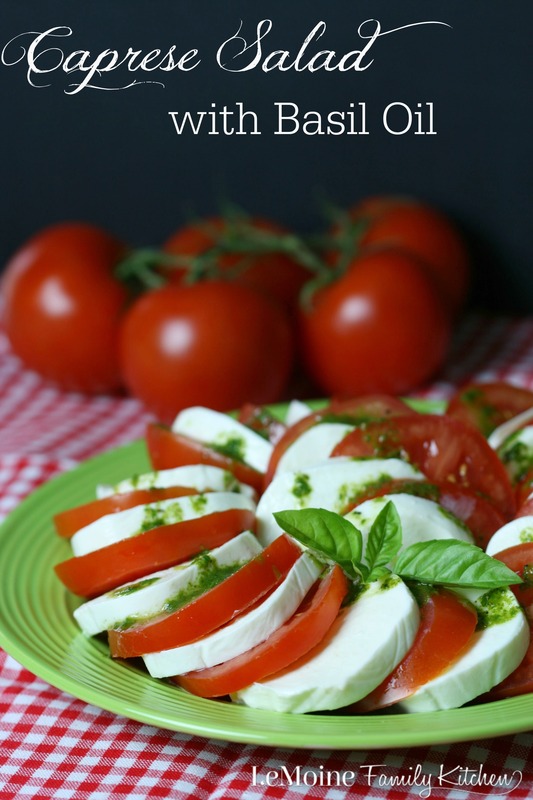 This Caprese Salad is simple with slices of tomato and fresh mozzarella. To add bright freshness to this salad, I made a really quick basil oil. The basil oil is very simple, a handful of basil leaves, a small garlic clove, salt, pepper and olive oil. This salad goes with just about anything grilled and if you happen to have any left over dice it all up and toss with pasta! Arrange the tomato and mozzarella on a platter. Place the basil, garlic, olive oil, a pinch of salt and pepper into a food processor and blend until smooth. 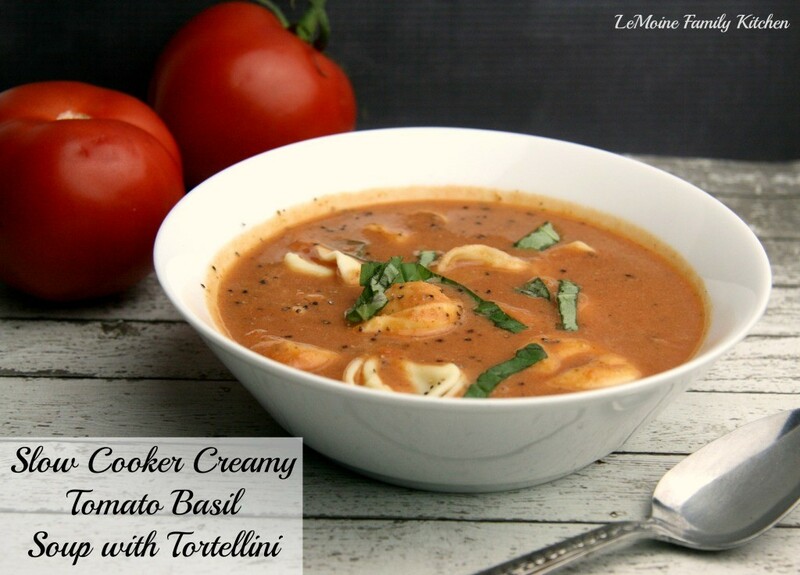 Drizzle the basil oil over the tomato and mozzarella.